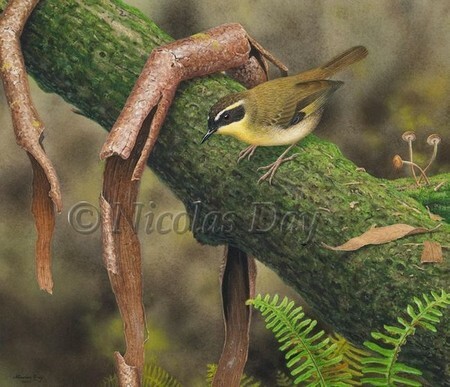 Yellow-throated Scrubwren print from original Nicolas Day painting. The Yellow-throated Scrubwren lives on or close to the wet forest floor. 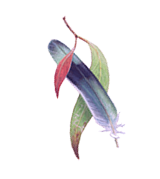 It is found from southern New South Wales to southern Queensland, although a small isolated population also occurs further north. I particularly like coastal regions and enjoy the damp humid forests and watching the wildlife there. Sometimes it is almost impenetrable away from tracks and paths but the birds have no such difficulty, and search diligently through the tangled undergrowth for invertebrates.